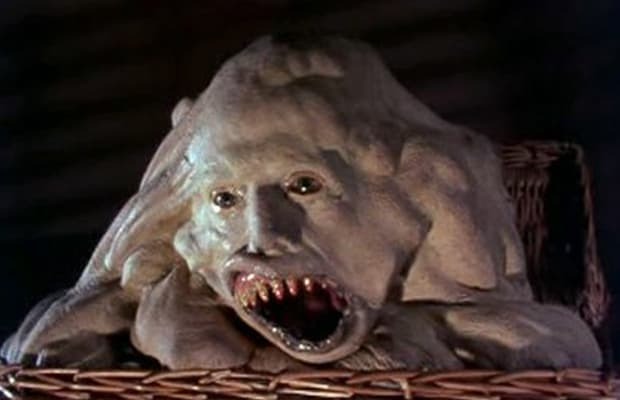 Belial is a monstrous half-aborted twin that gets carried around in a basket by his brother, Duane, in the movie Basket Case. His grotesque appearance and penchant for violence are supposed to make him a fearsome horror villain. However, cheap puppetry mixed with some ancient stop-motion animation makes Belial look more like something that was coughed up after a long night of drinking as opposed to a demonic evil fetus. But, of course, none of this stopped the filmmakers from releasing two sequels afterwards.